Variant Comics from then ‘till now – part 2! In part 1, we explored the very first series of variant comic books. I mention series as there were a fairly large number of these “test market” price variants and more are being discovered all the time. The scant number of Archie Comics price variants known today is more likely due to the fact that Archie Comics had not been a collectible prize until the last 10-15 years. Other Archie price variants will be found as collectors begin to search with enthusiasm. The original price variants (The Dell’s) have existed for almost 60 years and your chances of finding them at conventions are fairly good. But what about other oddball variants and one-offs? Well, these exist too, but from an average collector standpoint, the opportunity to discover these, and collect a complete set are near impossible. For one thing, new one-off variants continue to be discovered at a few per-year. Here is an example of what I will call a one-off. Most likely more of these existed but their survival rate is miniscule. As you can see, this variant was specially printed for the armed forces overseas in 1944. If we want to estimate comic book survival rate after being shipped overseas, well, you can imagine. I could dedicate hundreds of blog posts to these types of “one-off” variant comic books but, let’s keep it simple. Instead we will focus on series of variants, common enough that we could accidentally stumble upon them at a comic convention. As the earliest series of variant comics are price variants, we will finish these prior to moving on to the next set of variant comics. The Dell price variants took near 50 years to become collectible, and for a few reasons, while attainable, they are not common. One of the principal reasons is that while the superhero comic became collectible in the mid 1970’s, all other comics including Western Publishing’s Dell and Gold Key titles were considered as read and throw-away” comics. 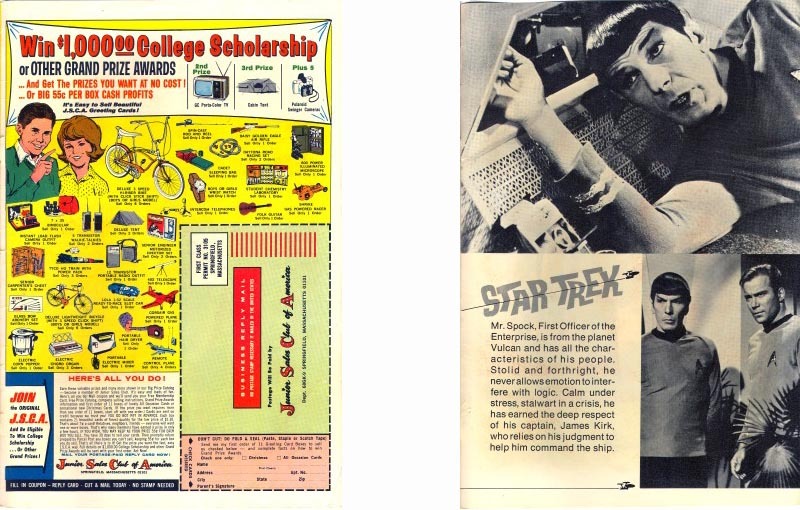 Their collectability status changed when collectors discovered that most of those comics were in fact thrown-away or miss-treated so badly as to be un-collectible. Before we leave those early Western Publishing Dell comics behind, and explore the more famous of the price variants, there is one additional variant series during this same period. These are known as the “dual back-cover variants”. There are approximately 300 Dell comics from 1955-1962 with back-cover variants, although more are being found as collectors research and study the comics from this era. 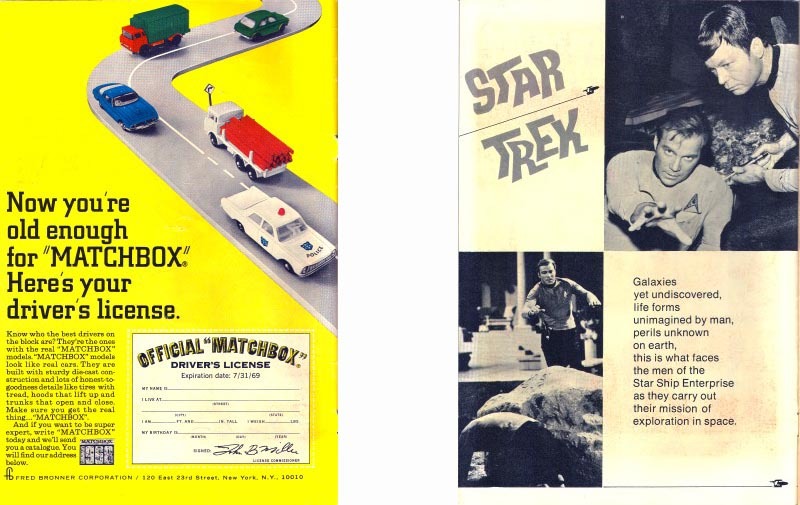 It is not clear as to why these variants were produced but some issues have commercial ads and their variants have no ads, often substituting with artwork, a puzzle, a one-page comic story or gag. So the Dell “dual back-cover variants” are actual content variants, as different content exists in these variant issues. Back cover variants were also not noticed for many years. After all who pays attention to the back covers? 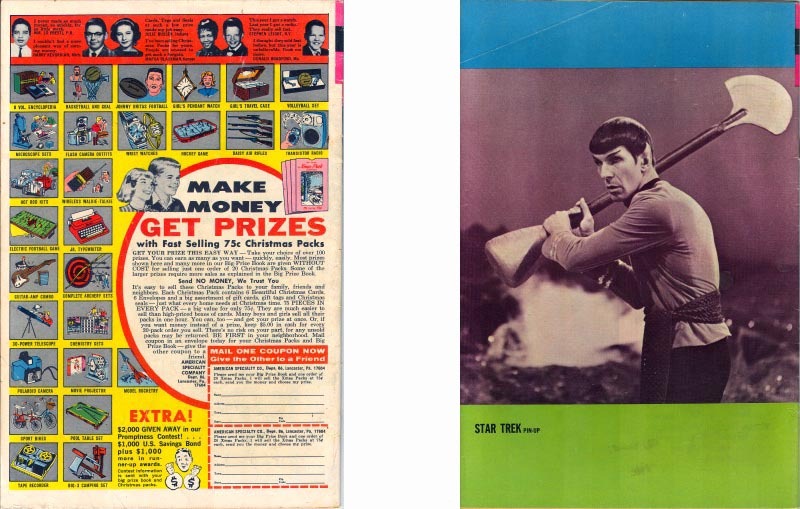 The same back cover variants exist in Western Publishing’s Gold Key line, and here is an example of the regular issue and the back cover variant. Notice that not only is the back cover different but the inside front and back covers vary as well. 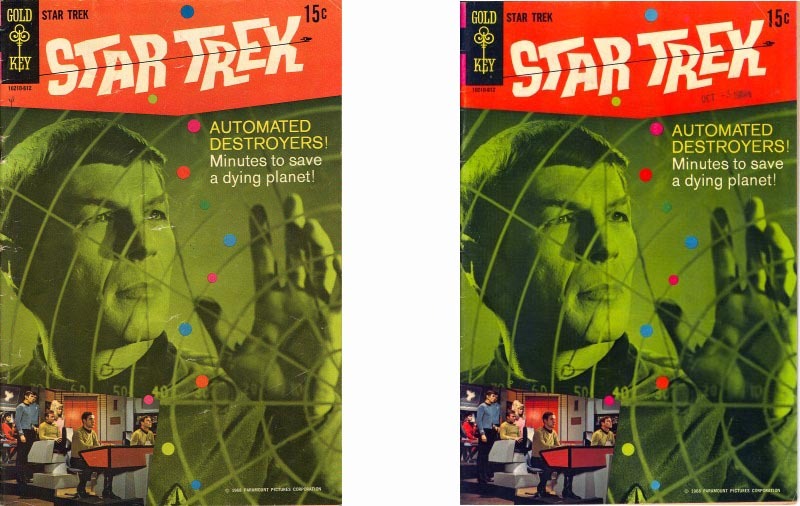 Star Trek #3 left side regular version, right side back cover variant. You can’t tell by the front cover! Star Trek #3 inside front cover. Left side regular version, right side back cover variant. Star Trek #3 inside back cover. Left side regular version, right side back cover variant. And finally, the back cover. Left side regular version, right side back cover variant. Besides the Dell’s and Archie’s, the more famous price variants deserve some attention. These were the first recognized price variants despite the fact that they were superseded by Dell’s for 20+ years! These are the Marvel 30 cent – 35 cent variants. The history behind the Marvel 35 cent variants is shrouded in speculation. Companies don’t like to announce that they are performing any sort of “market test” by experimenting with higher prices in limited market areas for fear of backlash. Back in 1977, before the internet, these types of test-markets could be conducted in secrecy with the resulting sales changes being a good tool to measure the appetite for price increases. So from June to October of 1977, Marvel printed both a 30 cent version and a 35 cent version of every comic they produced for a total of 184 comics with price variants. No-one seems to know exactly where the limited test markets existed but, it is estimated that 0nly 1-2% of these 35 cent variant were produced compared to the regular 30 cent versions. 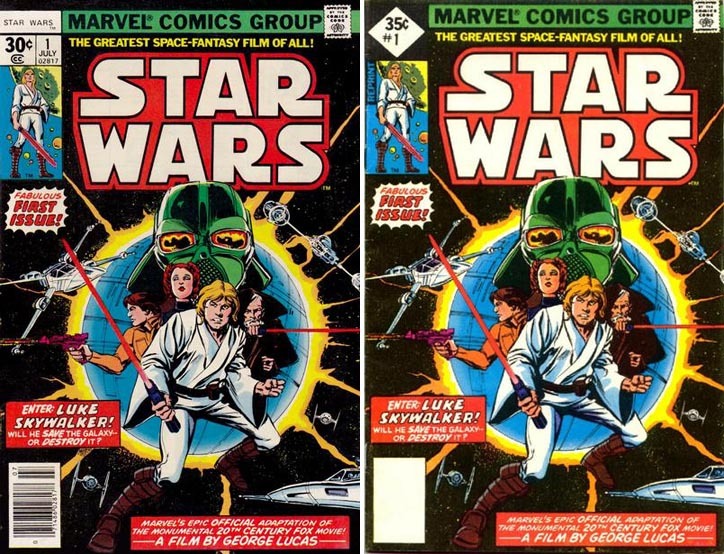 Star Wars #1, 30 cent version and the 35 cent variant. There are price-variants of both the newsstand editions as well as direct market editions. The other more famous 35 cent variant was Iron Fist #14. But you can, and some have, achieved complete collections of all 184 Marvel Comics 35 cent price-variants. But Marvel had another secret! This is another test-market price variant that wasn’t really noticed until an article appeared in Comic Book Marketplace #55 by Jon McClure, who discovered that several 30 cent versions of 25 cent Marvels also existed. This article appeared in 1997, 20 years after Marvel Comics had experimented their very first test market from April to August of 1976. During this time, six test markets were used to determine if fans would tolerate a price increase from 25 cents to 30 cents. It is estimated that there could be 186 possible 30 cent variants. So there you have it, a brief history of the first series of variant comic books, the price-variant. Next post we will look at the second series of variant comics, the second (and subsequent) printing variants. Part 3 Part 4 Part 5 Part 6 Part 7 Part 8. The History of Variant Comics Part 9 is here and is the last part of this series. 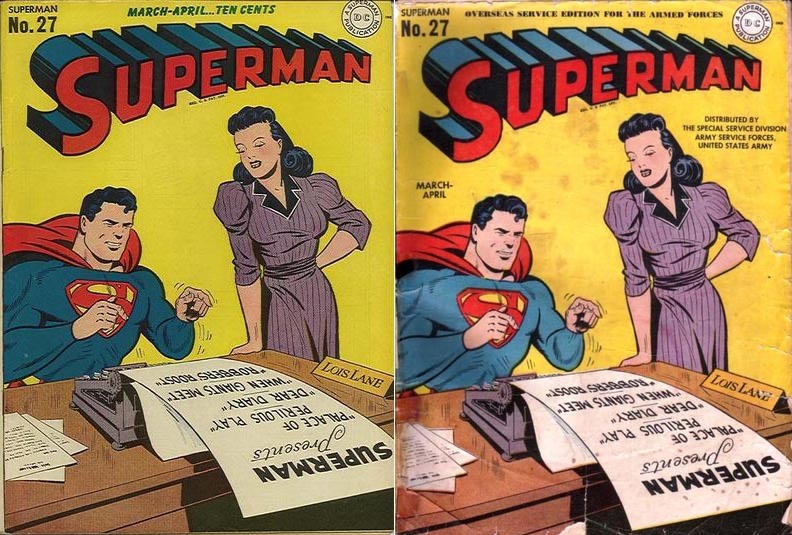 Share the post "Variant Comics from then ‘till now – part 2!" This entry was posted in Variant Covers on July 20, 2014 by Hal Hickey.